Digital printing, commercial signs, vinyl, canvas and banners, everything you need for your business. We offer immediate response to any request, and we have our own manufacturing machinery. We have a team of professionals who will see you from the start of a project to its implementation. Thank you for trusting in us. 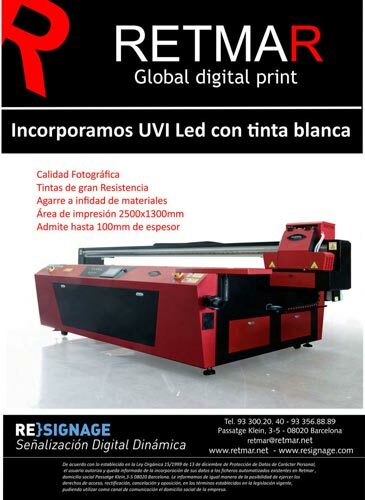 Learn more about Retmar Area Digital.